The iconic Samuel French Acting Edition, redesigned and ready for you. Because we know every theatre maker and reader is different, we now offer a choice of formats to suit the way you work. 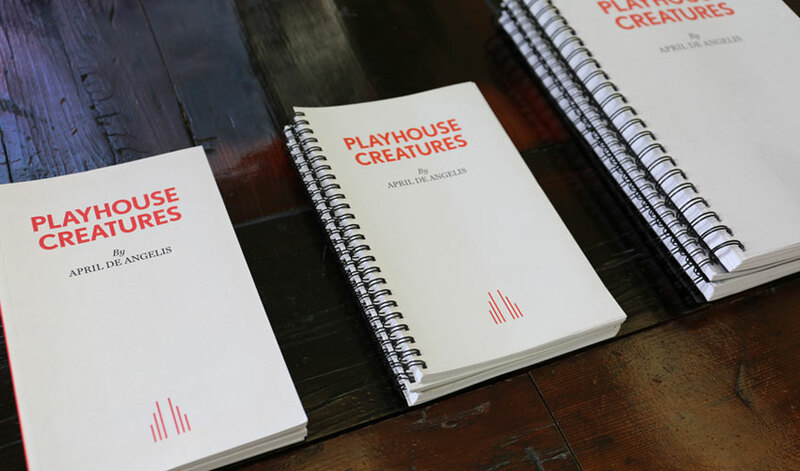 Handily though, whichever format you choose, page numbers are the same across all editions, so there'll be no confusion in the rehearsal room (well, no confusion caused by page numbers, anyway). Our regular paperback book at our regular size, perfect if you like to keep things classic. The same size as the Standard Edition, but with a sturdy, easy-to-fold, easy-to-hold, spiral-bound spine. Ideal for use in rehearsal . A4 size and spiral-bound, with larger text and a blank page for notes opposite every page. Perfect for technical and directing use. PLUS We've also made hundreds of our existing books available in these formats (though without all the other features of the super-duper new Acting Edition). Look out for format choices on the book's product page on our site. Browse our new acting editions.